India’s fast-growing economy attracted $44 billion in foreign direct investment in 2015, making it the 10th largest destination globally for such investment last year, according to United Nations figures released this week. That represents a 26% increase in foreign investment in India over the year before, according to the U.N. Conference on Trade and Development, which published the data in its latest World Investment Report. Prime Minister Narendra Modi has touted the growing stream of overseas money entering India as a signal accomplishment of his two years in office. 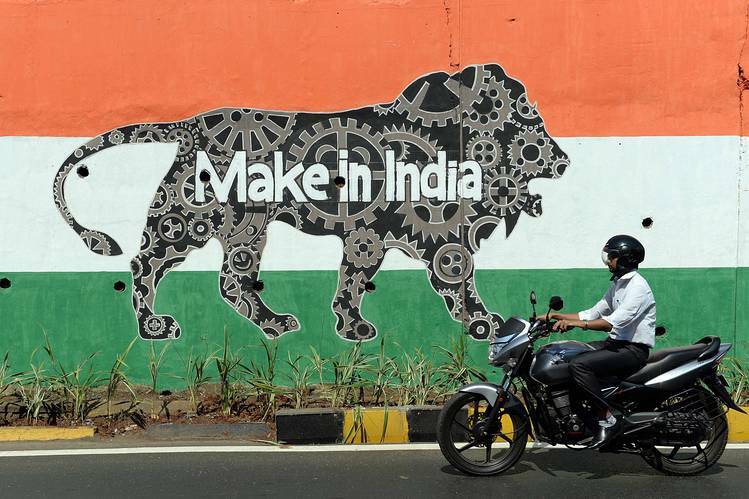 The latest U.N. figures suggest in particular that the Modi government’s efforts to encourage more global companies to “Make in India” are reaping some success. Foreign investments worth $28.7 billion in so-called “greenfield” manufacturing projects, or those that start from scratch, were announced in India last year—more than double the $11 billion in investments that were announced in 2014. Electronics manufacturing saw an especially big boost, with $13.5 billion invested in such projects in 2015, compared with $1.1 billion the year before. The Modi administration has made changes to keep the money coming. Last year it began allowing foreigners to own larger stakes in Indian companies in insurance, construction, mining, manufacturing and others. This week the government announced increases in foreign-investment limits in defense, retail, civil aviation, pharmaceuticals and grocery businesses. The changes, the official press release declared, make India “the most open economy in the world” for foreign direct investment. Some experts doubt the latest rule changes will cause more money to flood in right away, though, given the degree to which Indian regulations remain vague and regulatory decision-making remains opaque. India has risen steadily as a host of overseas investment since 2000, when the entirety of foreigners’ stakes in the economy was valued at $16 billion. The same figure last year was $282 billion. In terms of yearly inflows, the country still ranks far behind mainland China, which lured $136 billion in foreign direct investment in 2015; Hong Kong, which attracted $175 billion; and Singapore, $65 billion. The U.S. was 2015’s top host of investment from abroad: $380 billion of it flowed into the world’s largest economy last year. Among executives surveyed by the UNCTAD, 19% picked India as the most promising host country for investment over the next few years. Nearly half picked the U.S.; 21% chose China. But world-wide, the U.N. body expects foreign investment flows to dip by 10% to 15% this year. Its surveys indicate that multinational companies are skittish about volatile exchange rates, geopolitical uncertainty and mounting debt in developing countries.